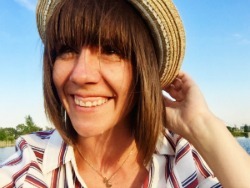 When my husband was a teenager, he lived in the great heartland state of Ohio. He lived in a fairly small town that was full of small town perfection. He even worked on a farm. A sweet corn farm to be exact. I have heard many times about him driving the tractor, singing some country song while working, and the glories of fresh corn on the cob. Seriously, don't get him started on fresh corn. He will declare at least once that if it is fresh enough, the best way to eat it is raw right off the stalk. He is also adamant that cooked corn on the cob should be almost as crunchy as the fresh stuff. He has a few opinions on the matter of corn on the cob if you couldn't tell. So when I declared (I can do my own declaring after all) that I was testing out a new recipe that would involve corn on the cob, he looked at me skeptically and inquired how I was going to be cooking this corn. "Why, in the crock pot." I sweetly replied. He pretty much grunted in disbelief. Ya, well I will show you. Show him I did. This corn was off the charts good. Plus it was a combo of two of my favorite things, Mexican Corn on the Cob and the ease of cooking in a crock pot. After one bite from Husband (aka the corn on the cob professional), he declared, "Hey, that is pretty good. I am pleasantly surprised." He then ate several ears. That my friends is what I call success. 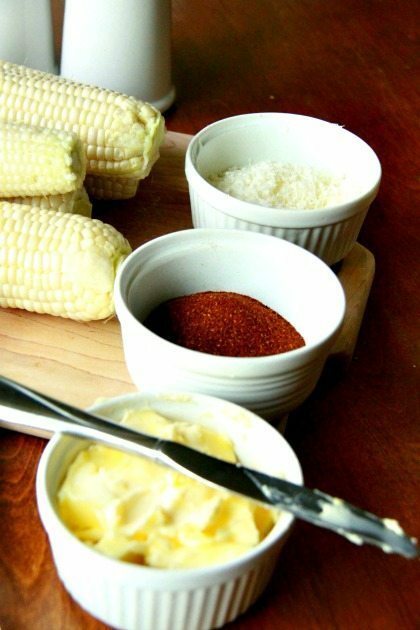 So here is the low down on how to make your very own Mexican Corn on the Cob in the slow cooker. Buy and husk the corn. 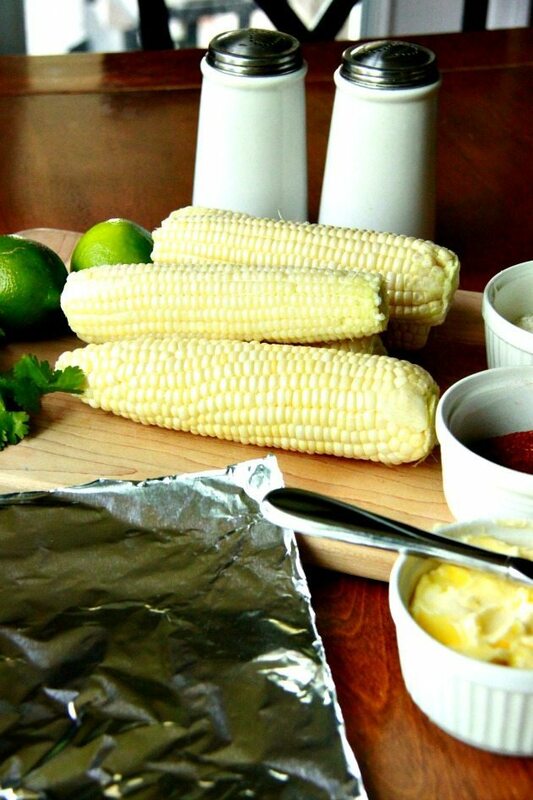 Get ready the right amount of foil sheets (long enough to wrap up a corn cob), chili powder, Cotija cheese, finely chopped fresh cilantro, and butter or mayonnaise. I will say, after trying both butter and mayonnaise I lean a little more towards mayonnaise but the kiddos liked the butter. You can use either. 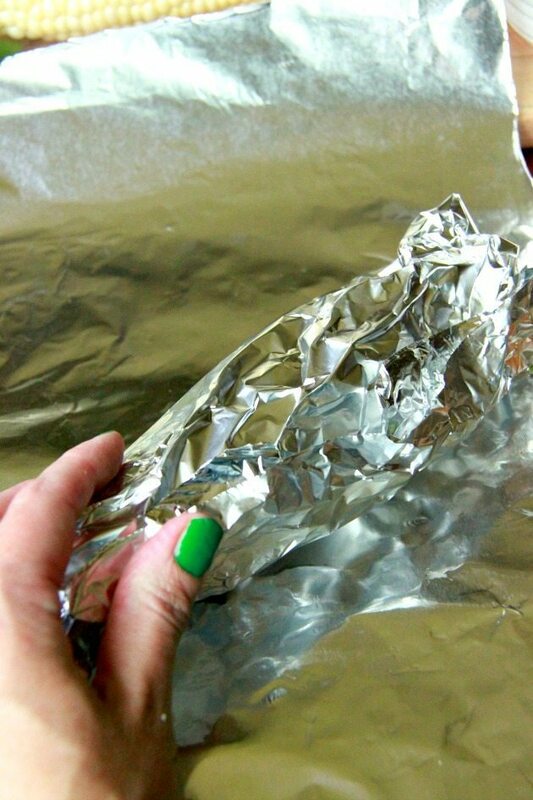 Place a piece of corn on a sheet of foil. 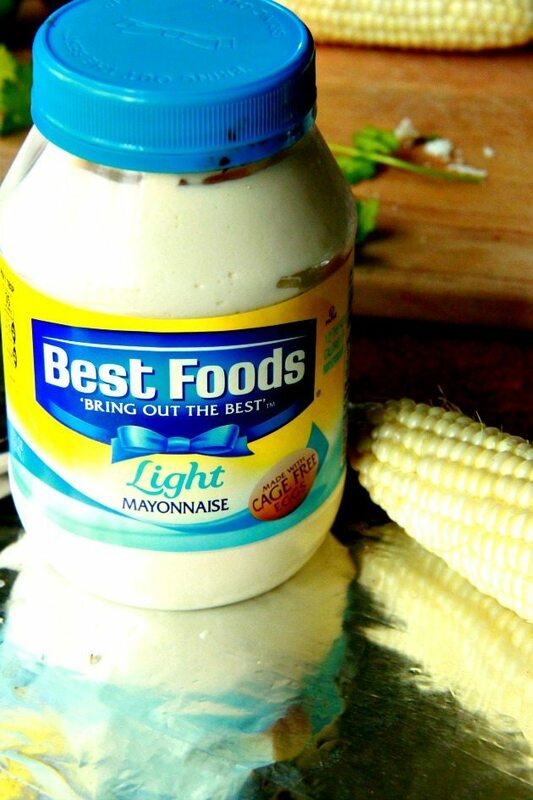 Spread a healthy amount of mayo or butter on the top of the piece of corn. AND by healthy I mean a lot, not actually healthy. Sprinkle the chili powder, cheese, and cilantro on top. Wrap the corn on tight and snuggly, so that water used in the crock pot does not get in. Add 1/3 cup water into the bottom of a slow cooker. 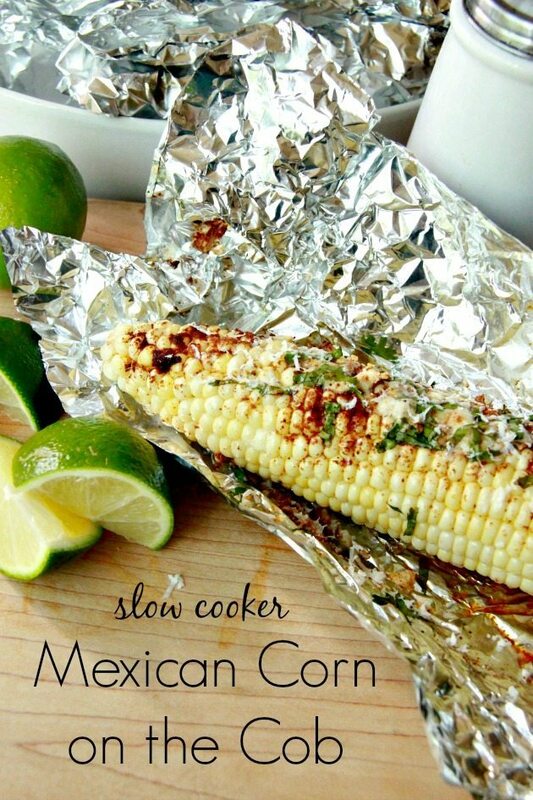 Place the foil-wrapped corn into the slow cooker. Mine holds six ears of corn. Cover and cook on high for 2 hours. 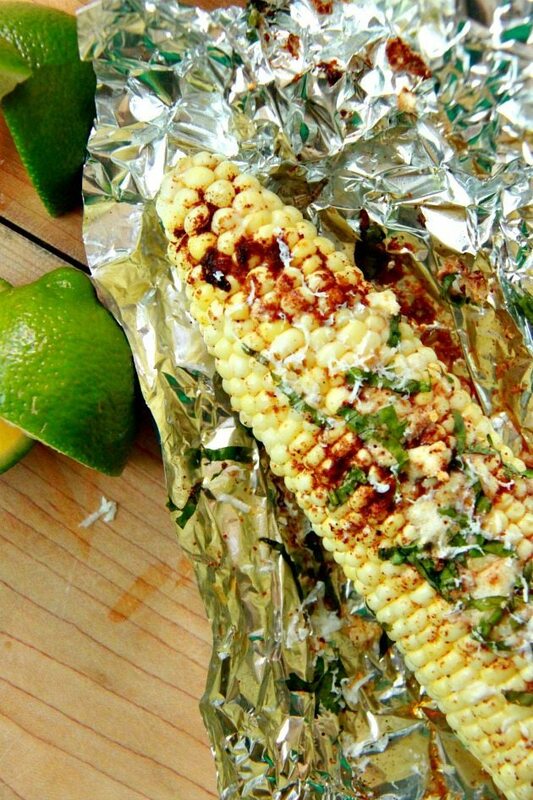 Remove from slow cooker with tongs and unwrap one beautiful ear of corn. 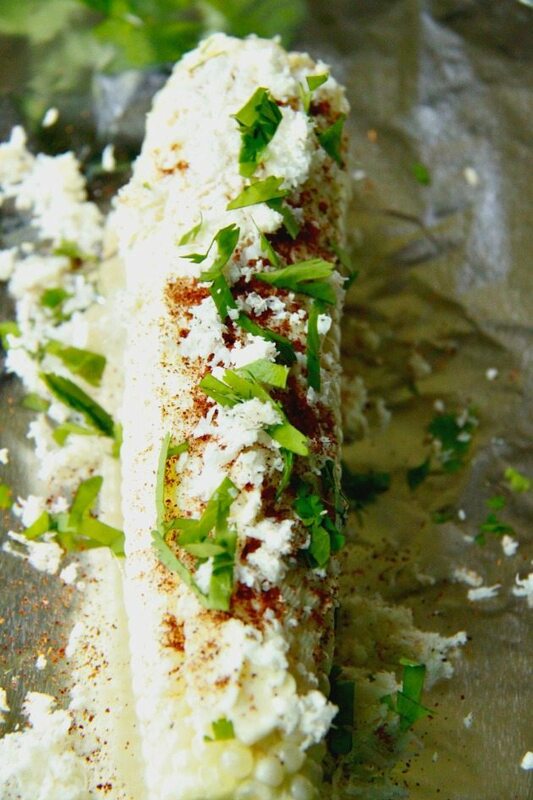 Sprinkle with a little more cheese, some salt, and squeeze some fresh lime juice over the top. Then dive right in. You will be pretty happy that you did. Plus it will be sure to silence the harshest corn on the cob critics. Mostly because they will be too busy inhaling this delightful Mexican Corn on the Cob. Some are already back in school. We have about three more weeks. 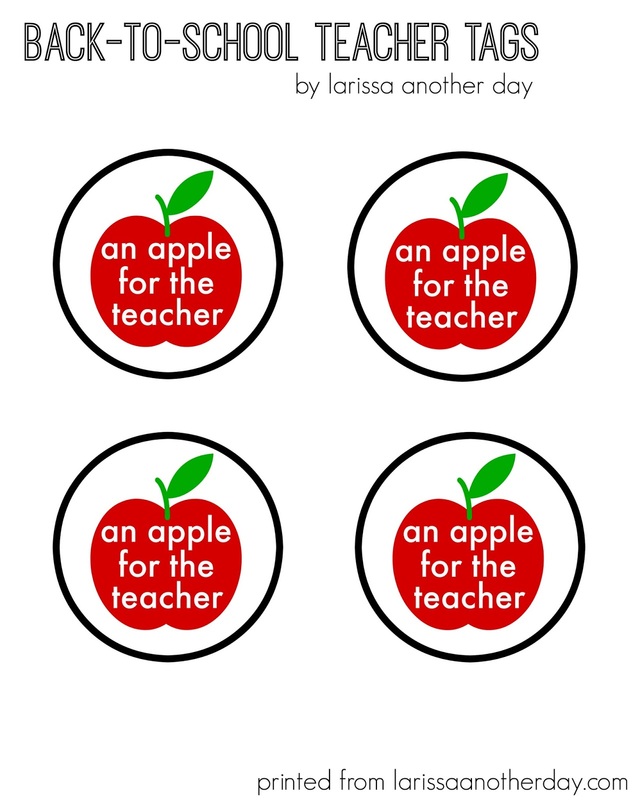 I really like to show up to back-to-school night with a gift for our teachers. 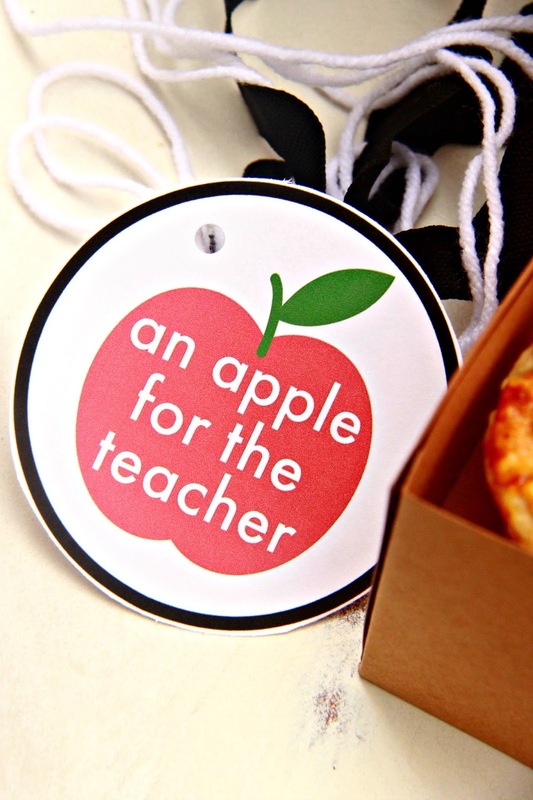 Last year I chose to go with the classic "apple for teacher" theme. 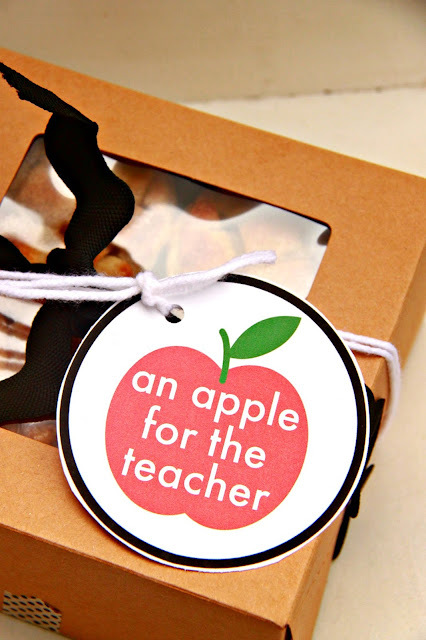 I thought a little outside the box and went with little apple pies for the teacher. I used store bought pie dough and apple pie filing. I lined the inside of the smallest sized mason jar with pie crust. 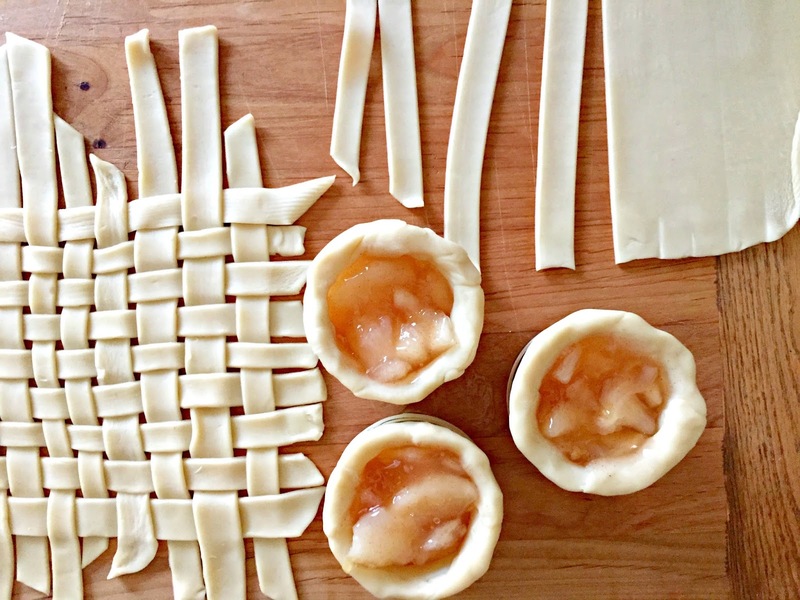 A couple of spoonfuls of pie filling was topped with a lattice top. To make the lattice I cut out strips, wove them together and then used the ring from the jar to cut out a circle top. Then I sealed the top to the crust in the jar by gently pinching around the edge. Bake at 325 until the crust is golden brown. I put the mini pies in a cupcake box. Then I wrapped the box with yarn, punched a hole in the tag, signed our names, and tied it to the box. 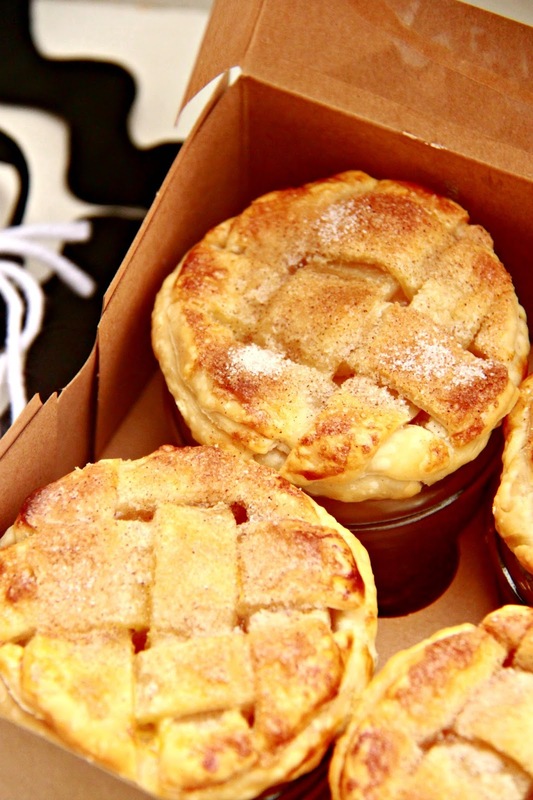 I am pretty sure my kids got all A's because of these pies. I feel like they owe me or something. Kidding, my kids are smarties and didn't need no stinking pies. 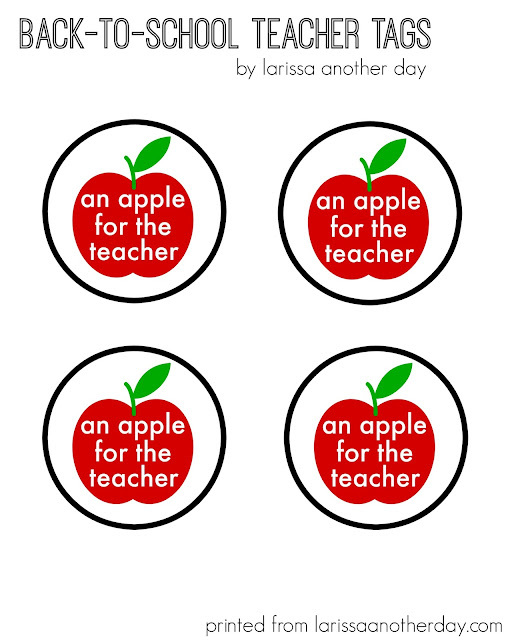 However, I am sure the teachers didn't mind getting them.